Varies; there are 19 miles of trails at the park. Unless you take the ferry or camp - the round-trip ferry ride is $46, and camping is $20 per night. It’s hard to go slow in Hartshorne. The trails flow perfectly, and while rocks and roots make it a technical challenge, it’s just fast enough that you enjoy every second of it. For the first time in a long time, I was floating over rocks and roots, largely thanks to the brilliantly designed network of trails. There are two main trailheads, the Buttermilk Valley Entrance and the Rocky Point Entrance. Buttermilk is about a mile off of Route 36, only a couple of miles before Sandy Hook, and Rocky Point is on Route 36, even closer. 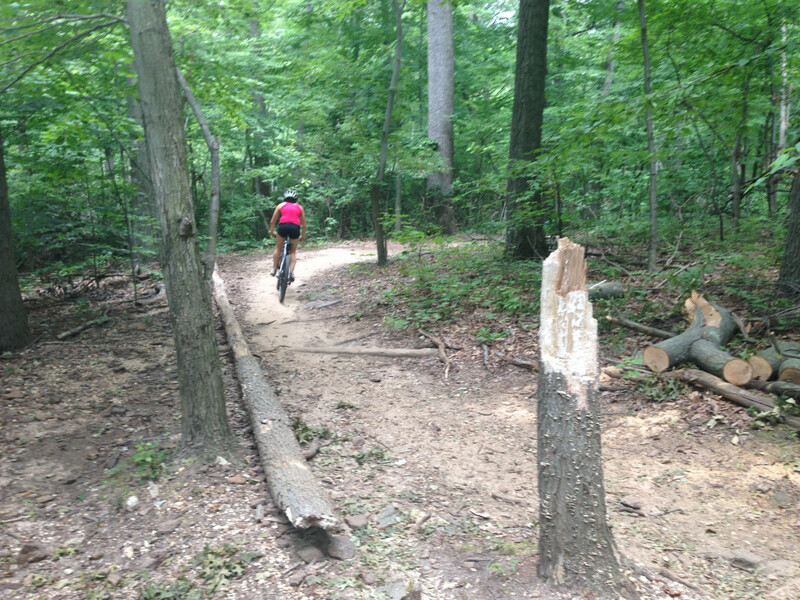 The park has roughly 20 miles of singletrack in the park, but with plenty of trails (and some unofficial ones worth exploring), there are so many combinations of how to ride them that you can spend days there and still not be tired of the trail system. The trails are all marked with designations, from easy (green) to intermediate (blue) to expert (black) and they’re not kidding around with the designations. The black ones are rocky and ultra-technical, and it takes some technical prowess to successfully navigate the blue trails as well. The green ones are fantastic for beginners, though, and perfect for an expert looking to practice high speed riding. The park is crowded on nice weekend days, but not too densely packed even on those days, though be aware of runners, walkers and other cyclists while you shred. Weekdays are quiet, so that’s a great time to head out, if you can. Sandy Hook has tons of great riding, running and casual beach activities, so you can easily spend a couple of days there enjoying yourself and riding the trails at Hartshorne during the day before heading back to the beach for a barbeque. Parking is casual, and the lots are often full on weekends, so riders and runners create parking spots of their own on nearby roadsides. If you’re sans car, you can take a ferry from Manhattan to Sandy Hook with your bike and ride from there. If you’re doing that, I recommend making it a multi-day trip and camping at Sandy Hook for a night or two, since the round-trip ferry ride is $46, while camping is only $20 per night.